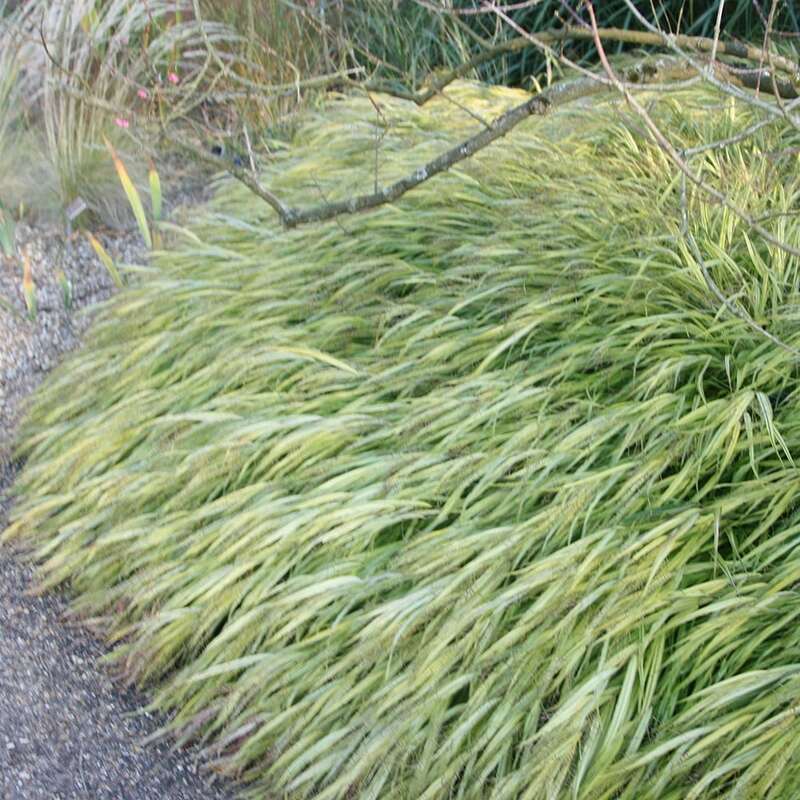 An eye-catching small ornamental grass, which forms cascading hummocks of vividly striped, yellow and green deciduous foliage. The narrow leaves keep their colour throughout the season, and often when the plant is grown in full sun it develops a reddish tinge. In late summer and autumn, pale green, needle-like flower spikes appear, giving a billowing lightness to planted drifts. It is useful as a simple understorey to light shrubs and as a soft edging to paths or steps. The clean, minimalist style of this grass makes it a good choice for formal courtyards or in minimalist urban planters. Garden care: Incorporate lots of well-rotted garden compost into the planting hole. Leave flower heads to dry out through the winter, adding valuable texture to plantings. Apply a light mulch (3cm) of well-rotted garden compost after cutting back old foliage and before new growth emerges in spring. Grasses helped towards creating my Japanese garden! I have planted lots of these under an acer and think they will act as a lovely contrast. This product was as expected and am happy with it. Too early to comment on the full potential and effect of this purchase. 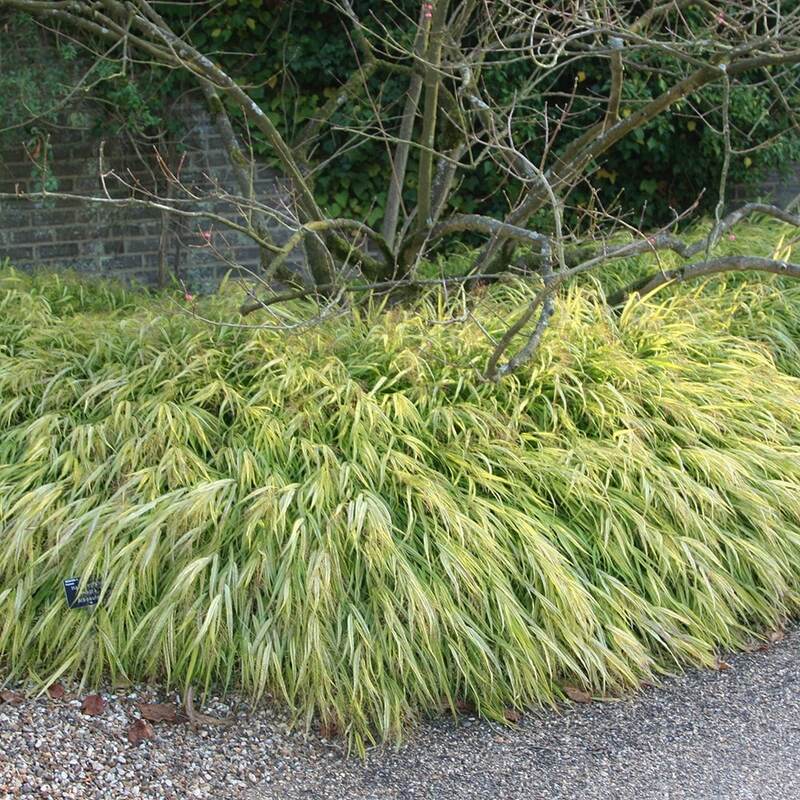 I wanted three of these grasses as they have amazing colour and shape and suited a scheme I was hoping to plant. I bought other plants at the same time which thrived, but the first three grasses died. They were very kindly replaced by Crocus but the second lot are in very poor shape. I took them out of the ground and planted in pots so they could get TLC when needed. There may of course start growing in spring but two of them still appear to be in a bad way. I thought this plant was dead but on examining it today there is sign of growth at the very bottom of the plant. I hope it will improve in time. Didn't think it would have lost it's greenery as I know it is hardy. Fingers crossed. Hardy, low maintenance, good under the light shade of an acer.Brightens up the space. Is this plant suitable for a container ?